As part of the activity supporting the protection of classified information according to the Act of 5 August 2010 on the Protection of Classified Information, we create devices, systems and solutions with various confidentiality clauses. Moreover, we specialise in counselling, trainings and assistance in the processes of appointing and creating divisions of classified information protection in the companies. Client devices for the encryption of information in the IP networks and the creation of separated Virtual Private Networks (VPN). It allows to add single workstations or IP secure communication systems based on the complex solution CompCrypt ETA-MIL. Devices may be used both in military and civil systems. Special version: ETA-MIL 10P N7 meeting the requirements of the Defence Standard – NO-06-A103. Capacity up to 30000 pps. The device has cryptographic protection certificate no. 40/2011/JC SKW with the following clauses: CONFIDENTIAL, NATO CONFIDENTIAL and CONFIDENTIEL EU, valid until 31 August 2018. 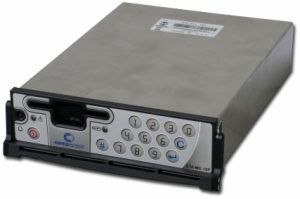 CompCrypt Delta 1 is a device intended for the safe storage and use of the private key of the Certification Office in the PKI infrastructure. A device is intended to be used in extensive IT networks with a hierarchically complex and territorially dispersed structure. A device increases the effectiveness and safety of information exchange in classified networks, for example in government administration systems, bank and telecommunications systems. A device has a valid certificate for the processing of classified information with the “confidential” clause until 30 August 2018. CompCrypt ETA-VPN 100P makes it possible to create safe separated Virtual Private Networks (VPN). 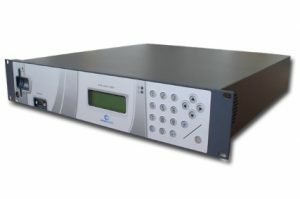 The CompCrypt ETA VPN 100P hardware encryption device ensures safe communication between workstations, systems or local networks (LAN). This solution is mainly designed for government administration units that process and send information between their locations according to the Act on the Protection of Classified Information. A device has a valid certificate for the processing of classified information with the “confidential” clause until 30 November 2019. 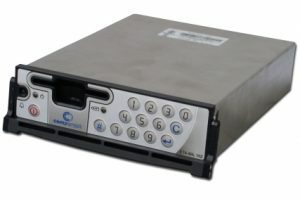 CompCrypt ETA-MIL 10Z is an encryption device intended for the encryption of information in the IP networks by creating safe VPN tunnels between safety zones or separated workstations. A device has a mechanisms of automatic switching depending on the connection capacity. 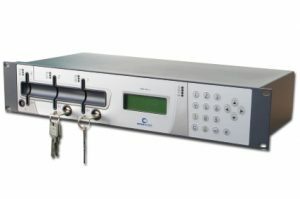 Encryption devices may operate in two various modes: by establishing secure connection between themselves or by establishing interconnections with devices of other producers. ETA-MIL 10Z N7 – special version meeting the requirements of the Defence Standard – NO-06-A103. Capacity up to 20k pps. Devices have a certificate of the protection of classified information with the following clauses: Restricted, NATO Restricted and EU Restricted, valid until 30 April 2019. 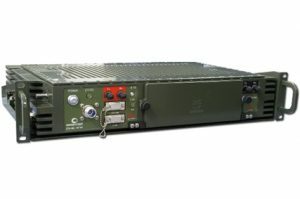 An encryption device with high capacity – CompCrypt ETA-MIL 100 Z – has been added to the group of devices encrypting information in the IP networks. This solution with full external infrastructure – HSM devices, management and audit software – creates a cryptographic and complete safety platform. A device may be used both in military and civil systems. The structure of an encryption device allows to adapt the transmission medium to the requirements of a recipient FC 10 Gbit/Etchernet 1/Gbit. 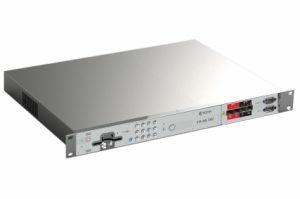 Capacity up to 6 Gbit/s, up to 3M pps. Keyboard built in the front panel. by establishing interconnections with devices of other producers, in particular with the CISCO ASA and Juniper solutions, due to operation consistent with standards (RFC 2409, RFC 3947, RFC 4303). A device undergoes a process of certification for the protection of classified information with the following clauses: Restricted, NATO Restricted and EU Restricted. Safe negotiation of keys with the use of elliptical curves (ECDH algorithm). Advanced network functions: dynamic routing OSPFv2, High Availability, 802.1Q VLAN Trunk. AES-256 bit public encryption algorithm. Automatic encryption of sessions without participation of a user. Authentication of users based on PKI infrastructure™, optionally RSA-2048 or ECP-521). Establishing a session according to RFC 2409. Encryption of packages according to RFC 4303. Possibility to compile a VPN tunnel with the Cisco ASA and Juniper devices. Authentication of IPsec tunnels based on PKI (RSA/ECC) or PSK (Pre-shared Keys). 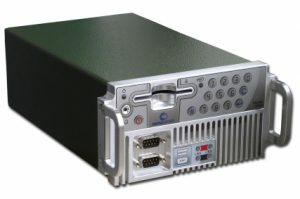 Minimum delay introduced by encryption devices: up to 0.05 ms.
Based on the experience gained over twenty-five years of activity and the knowledge of engineering and design personnel resulting from the implementation of hundreds of IT systems, Enigma develops, from the beginning of its activity, a functional and technical design, and prepares solutions meeting customer’s needs. The Data Retention System developed for one of telecommunications operators is an example of a system processing classified information with the restricted clause. This system is designed for the retention of billing data used to store and search data on phone calls made. A custom solution (CentaurOne), integrated with the safety solutions and PKI, has been prepared in the system for the third-party technologies. The system has acquired the accreditation of the national security services. improvement of work of the operator’s safety department. A significant area of the company’s activity is widely understood counselling, consultations as well as technical and design support in the scope of safety. Enigma possesses many certificates, concessions and permissions of the specialised government agencies and institutions which confirm the fulfilment of the most restrictive requirements in the scope of safety in the civil and military field.